This is a rectangular Standard Oil Company porcelain sign. This particular Standard Oil Company sign is yellow with black print. 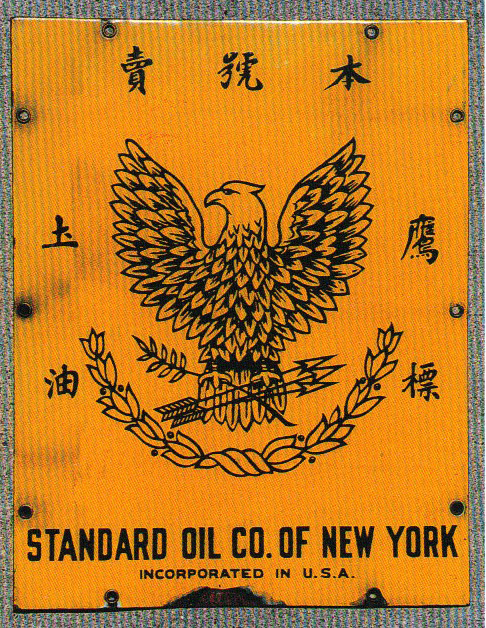 It reads, “Standard Oil Co. of New York, Incorporated in U.S.A.” and features an eagle with Asian characters in the center of the sign.